O. fontana of Michigan Flora. Usually said to be native to North America and collected in Michigan as early as 1832 on a river bank (in either Lenawee or Monroe Cos.). 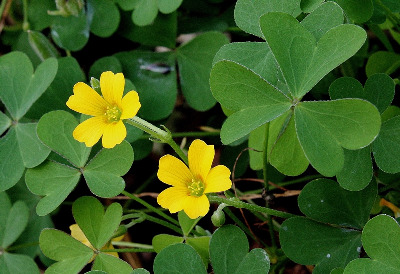 Now, mostly a common weed of roadsides, railroads, gardens, lawns, fields, and disturbed places generally; also in forests, especially along trails and other disturbed sites. We follow Watson (1989) for the application of this name, which means it must replace O. fontana, and not be applied to the species here called O. dillenii. MICHIGAN FLORA ONLINE. A. A. Reznicek, E. G. Voss, & B. S. Walters. February 2011. University of Michigan. Web. 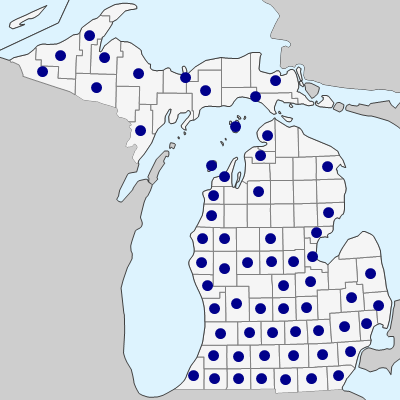 April 21, 2019. https://michiganflora.net/species.aspx?id=1879.